The release of the revolutionary iPhone Xs made positive headlines in the tech world for months. Its extra-ordinary specs, a perfect blend of the 5.8-inch Super Retina HD screen and its superb balance of a large screen and small body brought it to the top of the charts of any smartphone released. 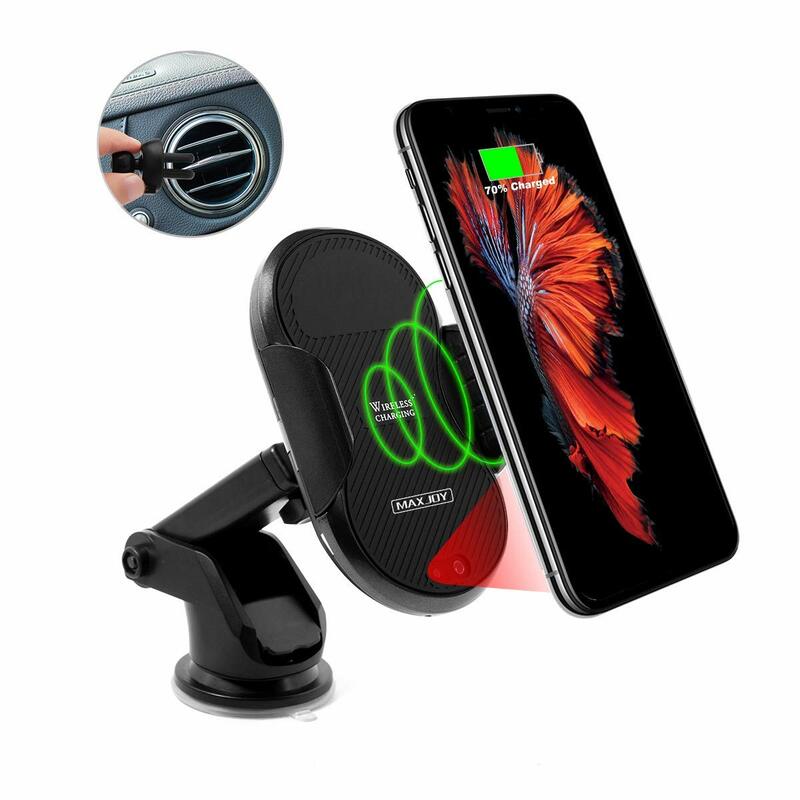 If you have already secured an iPhone Xs and you are always on the road, a wireless car mount charger compatible with your device will be the remaining piece of the puzzle to give you that ultimate experience with your device while driving. Here are the Best Wireless Car Mount Chargers for iPhone Xs or Samsung Phone. The Ellesye wireless car mount charger is not only compatible with the Xs but all Qi devices. With its substantial arms, ranging between 2.13inch to 3.86inch, it can hold a variety of different sized phones. The goose-neck design provides flexibility and free adjustment that allows you to bend to a maximum of 3.76 inches and rotate at an angle of 225 to give you that desired perfect view. Moreover, the strong suction guarantees a strong and secure steady position of your device so you don’t have to keep worrying about the safety of your device while driving especially during panic stops or speed bump. Its simplicity makes it user-friendly for anyone to use. One of the easiest wireless car mount charger you can get in the market today. 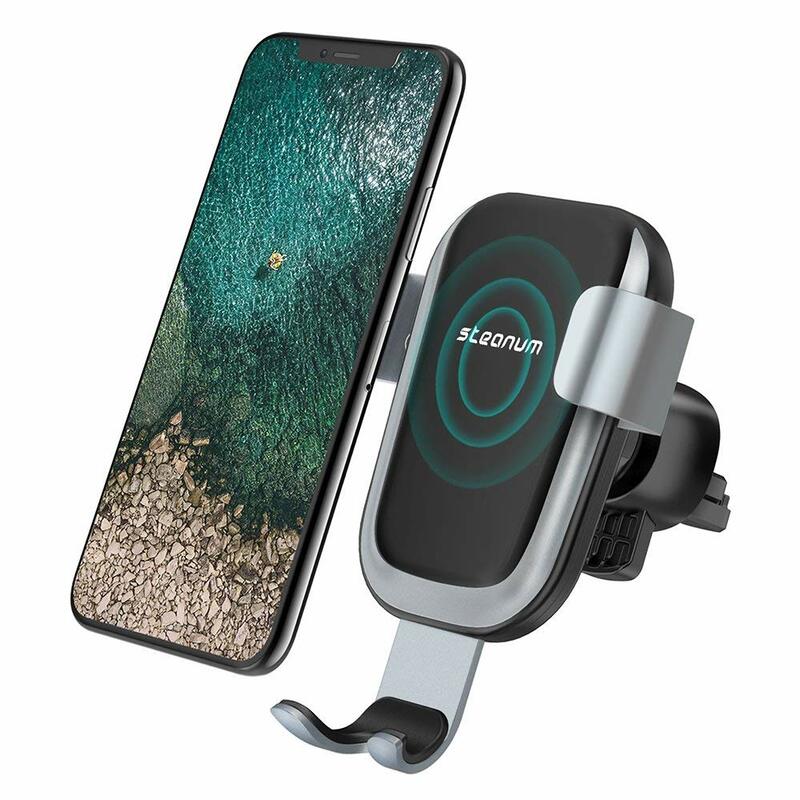 With the Torras Auto-clamp wireless car mount charger, you simply put your phone on the mount and it will automatically clamp your iPhone Xs device with its smart gravity linkage and align the phone with the wireless charging sensor. It is integrated with 2 gears air vent clip to provide the utmost stability and it can perfectly fit with most cars. It is also adjustable to fit most Qi devices ranging from 4.0 to 6inch in width. This definitely an accessory to consider when you are looking for a wireless car mount charger. 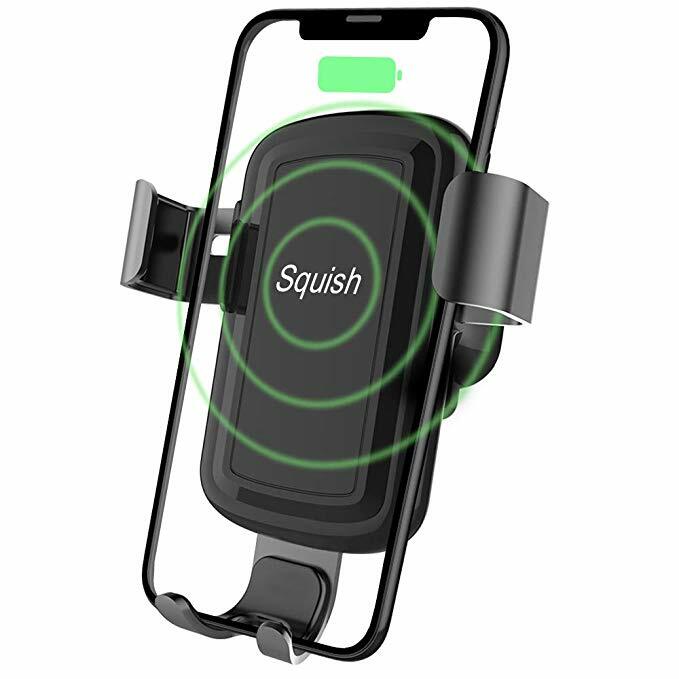 Do away with the unnecessary cables inside your vehicle and get yourself a Squish wireless car mount charger. You only require to place your phone inside and it will automatically clamp to your phone’s size and provide a secure grip. The cradle on the car mount can rotate at 360 degrees providing multiple viewing angles. It is built in with an intelligent clip that is self-adaptive to the required current of your device which in return charges your phone quickly. This wireless car mount charger can be installed on any vehicles’ car vents, providing security and stability for your device even on the roughest roads. 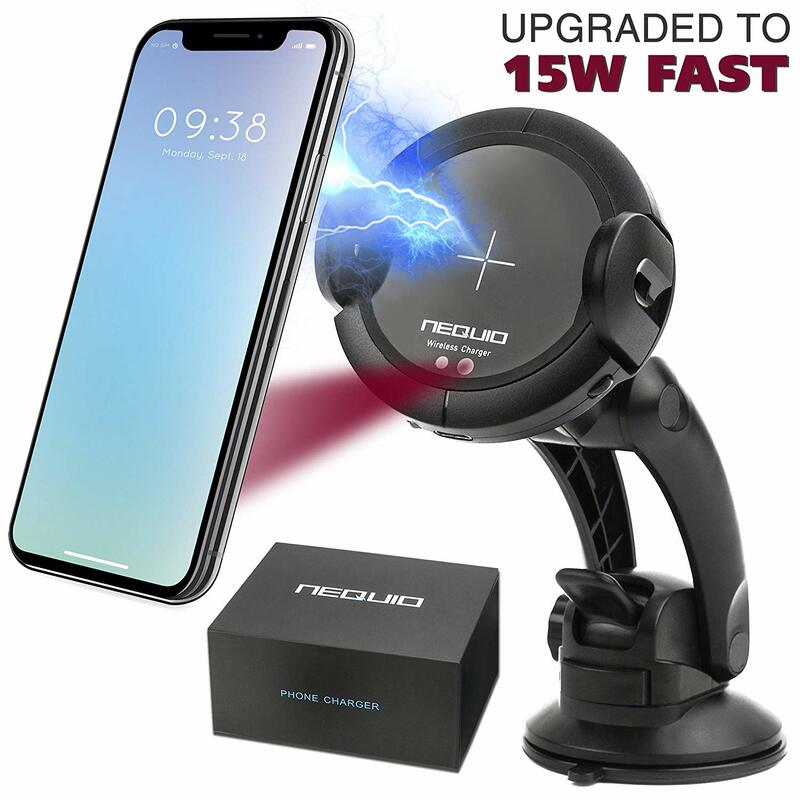 Nequio Fast Wireless Charger Car Mount. If you’re interested in fast charging to your device then you should go for the Nequio wireless car mount charger. It is upgraded to 15W to charge your device quicker than most traditional car mount chargers. You can easily mount the phone using one hand without any stress. Once the phone is brought close to the mount, the infrared sensor-operated flanges automatically open and then automatically clamps your iPhone Xs firmly and securely. 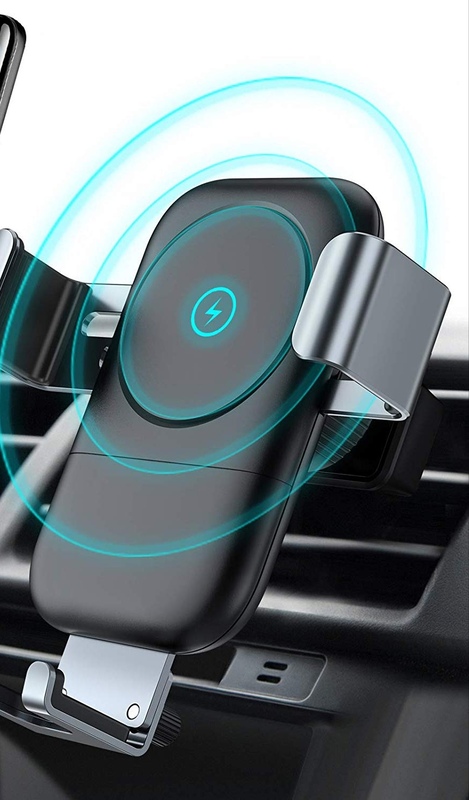 With the assistance of two installation mounts, it can be placed on the dashboard, windshield and even the air vents where it can cool your device while charging. Furthermore, the 360-degree viewing angle provides an exceptional view of your liking while driving for you to use your iPhone Xs without strain. This exceptional phone accessory provides a fast wireless charging and phone holder in one single unit. The Maxjoy wireless car mount charger is inbuilt with an advanced infrared sensor that automatically opens and clamps your phone once it is brought to the mount vicinity. It is also convenient for installation whether on the dashboard, windshield or the air vent. With its adjustable swivel ball, it can rotate to 360 degrees for that outstanding view. Try it out. 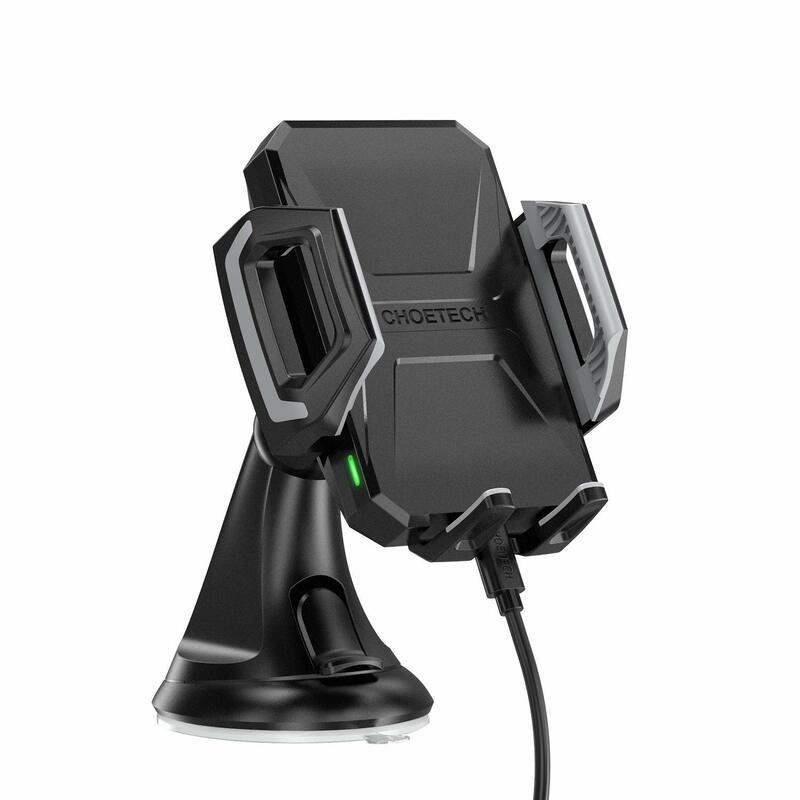 With this new Choetech wireless car mount charger, you can enjoy fast charging without connecting your iPhone Xs to a USB port. It has a phone holding capacity of up to 4 inches hence can support your device and other devices. Its ball joints on both mounts enable a full rotation to provide flexibility in viewing angles. The car mount charger is designed with a non-scratch silicone protective mat to securely hold your phone and prevent any damages to your phone when you’re on the road. Steanum Qi Gravity Wireless Car Mount and Charger. 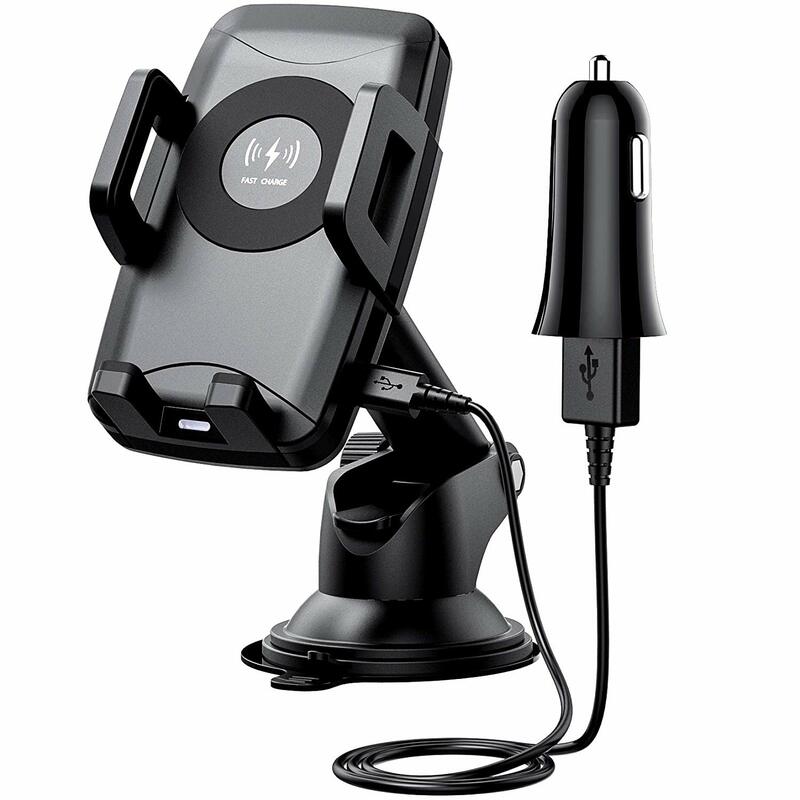 This is among one of the most unique wireless car mount chargers. It has an inbuilt smart IC chip that detects the current needed and optimizes charging with voltage protection temperature control and more advanced safety protection. It is usually installed on the air vent. It is also very easy to use as it requires only one hand. You simply put your phone on to it and the sides will safely clamp your iPhone Xs and you slide it upwards to take your phone out.